Some good news about the Palace Theatre and Forum Theatre – the fight against the demolition of the Palace and against the inappropriate development at the Forum is not over! At the Future Melbourne meeting on Tuesday 7th October, a slim majority of City of Melbourne Councillors voted to examine the heritage significance of Palace Theatre, with a view to giving the theatre stronger protection. The motion was led by Rohan Leppert, and was only carried by one vote 6 for and 5 against. The Lord Mayor and his team voted against ‘changing the rules’ on the developer, even though this same sort of situation has happened before. For instance, the Council voted in 2010 to give protection to the group of nineteenth-century heritage buildings at 116-132 Little Lonsdale Street and this prevented the construction of a 30-storey tower planned for the site. Council officers will now prepare an Amendment which Council will then need to approve, with eventual sign-off by the Planning Minister required. The Minister has already made it clear he is no friend to these developers. MHA assumes that such protection would include the original 1916 and 1923 elements of the interior. 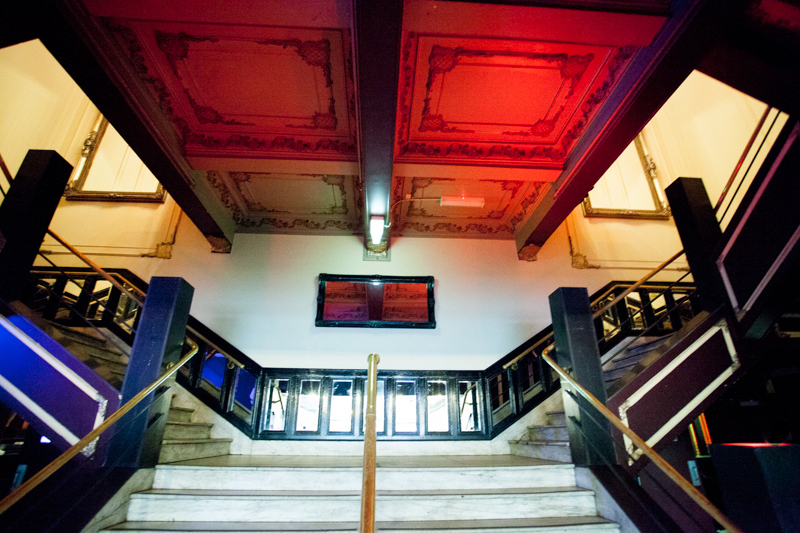 The Palace Theatre is the only heritage theatre interior in the CBD not already protected. On Monday 6th October the Council decided to take the Planning Minister’s department to VCAT over his approval of the hotel tower planned to go up behind the Forum Theatre. Ministerial permits normally can’t be appealed, except where the development falls within an area with a Heritage Overlay. 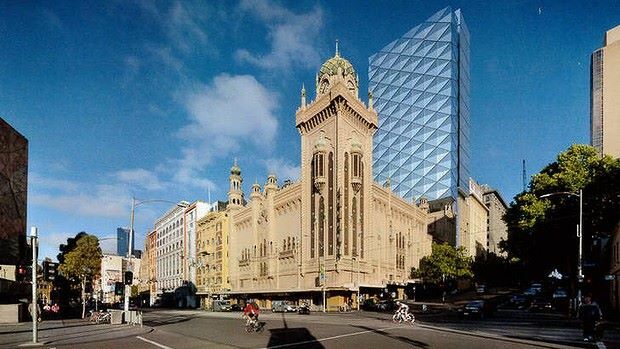 The proposed tower would sit within the Flinders Gate Heritage Precinct, and it is clear that the proposed tower would not fit comfortably within this heritage context. Not to mention the fact that it will dominate the Forum Theatre itself. MHA may be part of the appeal.